Marvelous Wonderettes Groups- A Winter Heat Wave of Savings | All Tickets Inc.
Those who see The Marvelous Wonderettes at Theatre Row’s Kirk Theatre are in for a hot time. The fact is Marvelous Wonderettes groups enjoy a major “Heat Wave” that warms the deepest winter chill and calms the most powerful north wind. 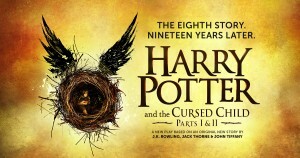 This show has a host of up tempo numbers all of which climbed the charts in the 1950s and 1960s. 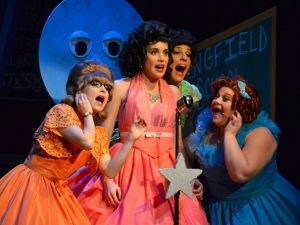 The first act of the musical comedy is set in 1958 at the senior prom of Springfield High where the girl-group, The Marvelous Wonderettes, has been asked to entertain. 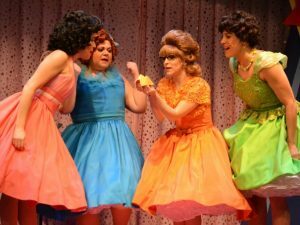 Suzy, Missy, Cindy Lou, and Betty Jean are adorned in crinoline and ready to sing their hearts out. Act two sees the four ladies return to Springfield High to entertain the class in 1968, during their 10-year reunion. 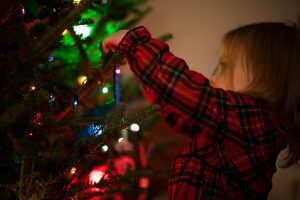 In each act, we learn about their lives, dreams, hopes, and relationships as they weave a melodic and harmonious chain of songs that sometimes unites and at other times divides them. 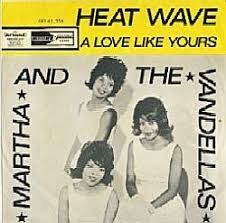 “Heat Wave,” which was released as a 45-rpm single on July 9, 1963, on the Gordy label, a subsidiary of Motown, hit number one on the Billboard Hot R&B chart. It stayed there for a month. It also hit number four on the Billboard Hot 100. The group that made the song a hit was Martha and the Vandellas. 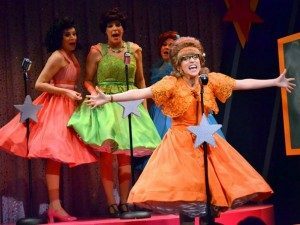 For Marvelous Wonderettes groups, the song “Heat Wave” defines the ultimate energy of this musical comedy, which is optimistic, uplifting, and completing engaging. For group tickets to The Marvelous Wonderettes contact All Tickets today by calling 212-362-5797 or 800-922-0716 or emailing us at janet.robinson@jrgroupsales.com or info@allticketsinc.com . Marvelous Wonderettes groups can get tickets for just $45.00 per person. 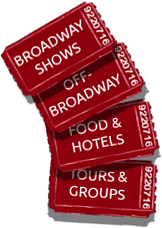 Plus, the professional and personable staff at All Tickets can book your group’s restaurant reservations, hotel rooms, and tickets to other great Off-Broadway and Broadway shows. We’re here to serve you.